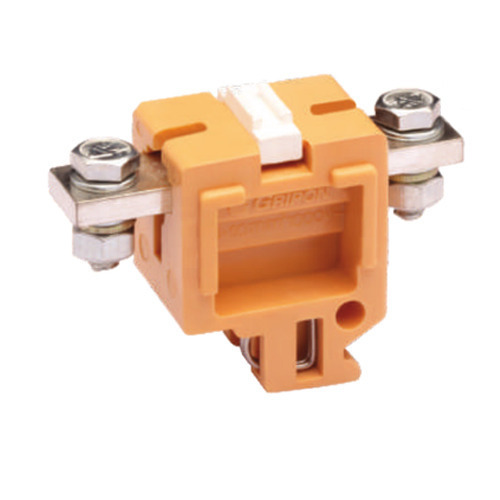 Established in the year 2000 at Pune, (Maharashtra, India) we “Gripon Electrical” are a Sole Proprietorship Firm that are engaged in manufacturing and wholesaling an extensive range of Melamine Terminal Block, Reverse Forward Switches, Cable Duct, etc. Owing to the support of mentor “Nilesh Navale (Production Manager)”, we have been able to attain a huge client base. Gripon Electrical is specialist in electrical termination in lndia. Gripon Electrical started its journey in April 2000 in a small unit in Mumbai and has now grown more than 4000Sq Ft factory in Pune. The steady & systematic growth coupled with the desire for incremental innovation & steadily increasing manufacturing productivity has brought Gripon to its current level of competence. Gripon continues to expand the line the most competitively priced blocks in the business. Whatever your needs, we have standard DIN Rail mounted terminal blocks to meet them. Gripon level of quality meets or exceeds every national and international standard for performance and safety. The heart of the Gripon philosophy is the standardized DIN Rail and snap-on terminal block. The DIN Rail makes possible a compact, organized arrangement of terminal blocks and other DIN Rail mount components. We offer our products under the brand name Gripon.